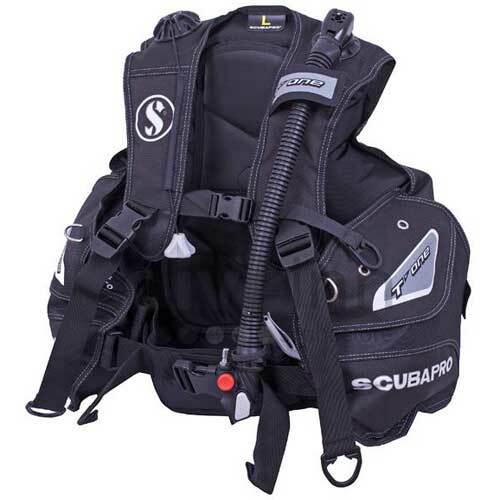 Scuba Pro T-Sport Plus BCD. A lightweight yet high performing, feature-rich travel buoyancy compensator. You won't want to leave it behind when you embark on an exotic diving holiday or even when you go to your local lake or seashore. PLUS incorporates: specifically thought-out travel advantages on a well-defined, essential, recreational front adjustable jacket. T-SPORT PLUS is: for complete simplicity and worry-free diving, wherever you may be. 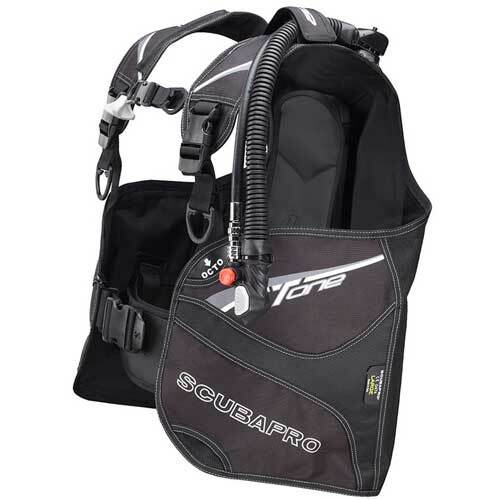 Scuba Pro T-Sport Plus BCD Features. Durable 500D Cordura for robust wear without weighing you, or your luggage, down. Tank band with durable plastic buckle system, lighter than heavier metal cinches. 3 plastic D-rings minimize weight. But we didn't forget 2 stainless steel D-rings, enough for your heavy duty accessories. A size Large weighs less than 3kg. New graphics and modern styling, plus a compact design which folds tightly into a gear bag for space optimization. Integrated front weight pocket system means no need to carry a weight belt. 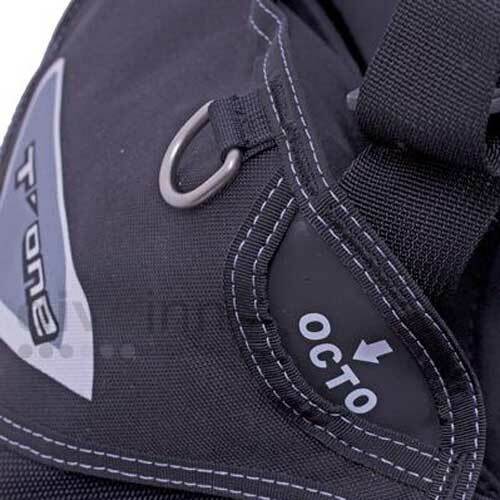 Weight pouches can simply be tucked in the 2 quick release pockets when you arrive and are ready to dive. Pre-constructed dive knife attachment points make it easy to add this essential accessory. Fits perfectly with our White Tip knife. Valves are welded onto the jacket for increased safety. Soft back protection for continuous comfort with embossed logo. New adjustable cummerbund system with a wider Velcro attachment for better fit and embossed logo. 2 large, zippered front pockets to keep your essentials and extras secure and at-hand. Available in 6 sizes for all shapes of divers (XS-XXL). Aqua Lung “Sea Quest” Libra BCD with Sure Lock Weight System. The Libra was specifically designed ..
mares Origin Sport BCD MRS PlusMares Sport Origin BCD was developed to reach a new level of dur..
mares Avantgarde Hub BCD + MRS Our premium system - equipped with a high performance regulator, oc..
Scuba Pro T-Sport Plus BCD. 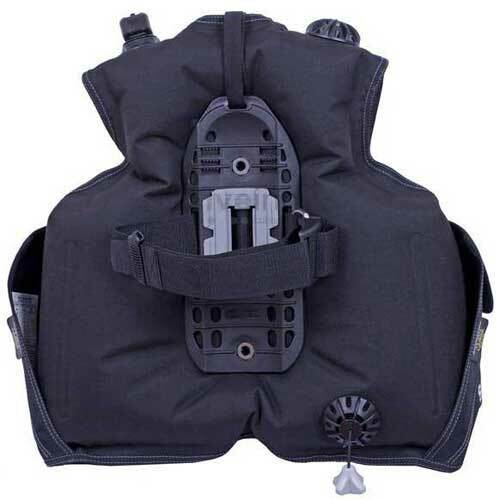 A lightweight yet high performing, feature-rich travel buoyancy compe..